Review HTC may have done it first, but now the Androids are starting to come thick and fast. Motorola got in early with the Dext, and all the major manufacturers are planning their own entry into Android land. Samsung's Galaxy: Android for the mainstream? 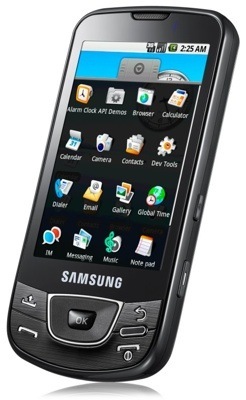 The Samsung Galaxy is the Korean giant's first attempt and turns out to be a well specced, slimline, glossy black number similar on the surface to its earlier Jet. 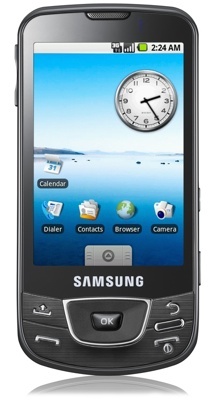 It boasts an OLED touchscreen, 5Mp camera, HSDPA 3G, Wi-Fi, GPS and an impressive 8GB of onboard memory. One of the great things about Android - which, lest we forget, is still in its early stages - is that it should be endlessly configurable. It's fully open for developers to tweak, adjust and improve wherever they feel it to be necessary. HTC has given us a taste of the possibilities with the Sense UI in the Hero, and Motorola took social networking a stage further with Motoblur. But despite charming us with its TouchWiz interface in the past, Samsung appears to have done very little with the basic Android UI. There has been no attempt at social networking integration à la HTC and Motorola, though you can of course download apps for Facebook, Twitter and others from the Android Market. All the basic Android elements are present and correct, however, including the varied widgets which you can drag from the menu onto any of the three home pages - you access each by brushing your thumb across the screen - and the drop-down notifications window, which you call up by pulling your thumb down from the top of the screen. We rather thought that Samsung would have done a mash-up with its own TouchWiz widgets replacing some of the Android versions, but that hasn't happened. Yet.